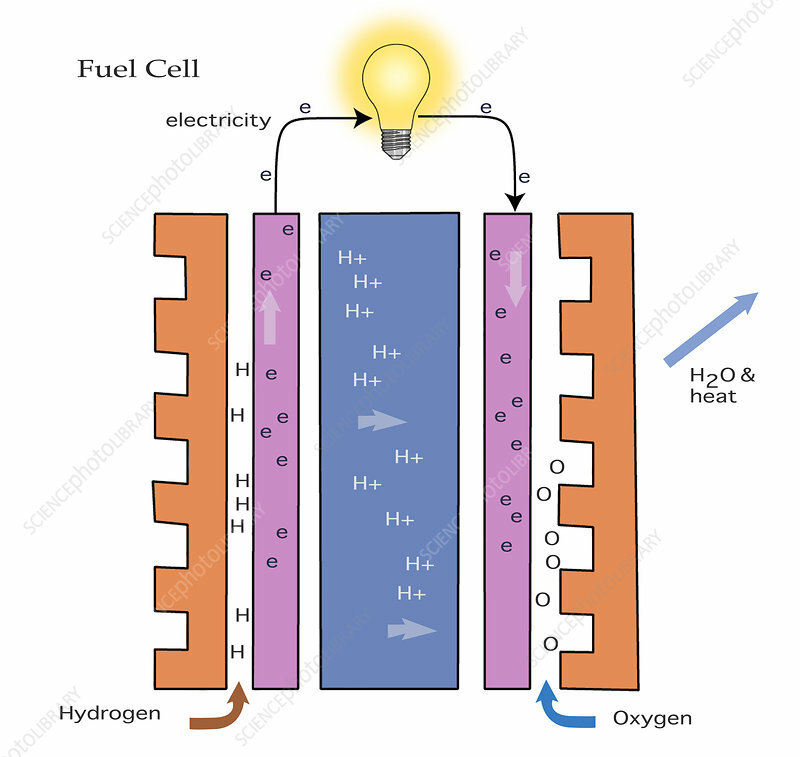 Diagram showing the inside of a fuel cell. Hydrogen enters at left, Oxygen enters at the right, and water and heat exit out back side. The purple slabs are catalysts where electricity protons and electrons are separated. The thicker blue slab is the polymer electrolyte membrane (PEM), which convert the chemical energy stored in hydrogen fuel directly and efficiently to electrical energy.